Sorry for my absence on Tuesday! It was a roller coaster of a day. Taught three 1.5 hour classes back to back, one of which got observed by my supervisors. Terrifying. But my students knew I was nervous and they were total rockstars today. It was amongst the most moving experiences I’ve had in a classroom — I could genuinely tell they were trying to 1) make me look good and 2) impress the supervisor. Then the stress of waiting all day to see if I would get an interview to teach at the summer program I applied to teach at. All day comes and goes. 5 o’clock comes and goes. No email. Sad and defeated I went to go hop ok the treadmill to improve my mood. I refreshed my email one more time — AND I HAVE AN INTERVIEW! So today’s run (3.5 miles) was supremely joyful. The stress of the observation, the stress of the waiting — all over. I did a dance while running. I fist-pumped. I grooved. I smiled the whole time. I rapped. Oh, it was a sight. Tag approved though, because he loves a good campy show. It was the first time I felt “runner’s high” WHILE running — and it was a glorious feeling. Today was the first time I got to celebrate with a run, instead of deflect with a run. Now, I know how it feels to run with joy in my heart — and I am hooked. Woke up this morning feeling quite tired and still a little sore. As I’ve mentioned before, it’s not the type of soreness that indicates anything is amiss — it’s just typical workout sore. But when running at 5.0, I’d avoided nearly all discomfort. So this is a little surprisising! Six minute-long “sprints” at 6.0 have done a number on me. Weird. I’m definitely hydrated enough (I drink about 100 oz of water every day) and eat appropriate pre-run and post-run foods, etc. So I guess I’m just mentioning this to say: Yep, indeed, my little legs do feel challenged by this increase in speed. Provided that the soreness doesn’t escalate into anything else, I don’t mind it at all. In fact, I take it as a sign that I am doing something right. Welp, minor change of plans. Today I was just going to run 5K at 5.0, but ended up changing my mind. 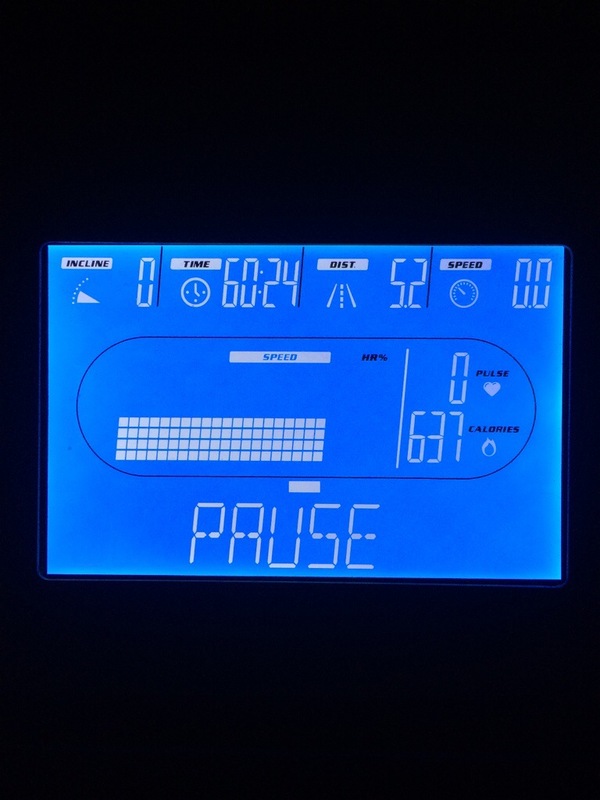 Instead, I ran 5 minutes at 5.0 then one minute at 6.0, and repeated the pattern for 45 minutes. The breaking up of the time kept me from getting bored, which was pleasant. It really wasn’t bad at all! However, I’m pretty sore now. I wonder if that extra push towards faster minutes here and there really made that much of a difference. I wouldn’t suspect that it would — but last week I didn’t hurt, and today I do. To be clear: I’m not really THAT sore! Just, previously I haven’t been sore at ALL and today it certainly feels like I went for a run. All’s well that ends well, though, and I had fun on my run today. 3.7 more miles in the books. HOKAY GUYS obviously I am not — and likely will never be — a speed demon. But the next phase of my running life is about increasing speed and ability and endurance in various ways and I needed a pithy title for this next set of goals and so there you have it. What ARE my goals? So glad you asked. 1. I want to run between 3-5 miles a day (typically 4) comfortably and without stopping. 2. I want to run at a 10 minute mile pace (goal #1) and then eventually a 9 minute mile pace (goal #2). If those get accomplished, we’ll discuss more speed when we get there. 3. I want to start experimenting with the treadmill’s incline. 4. Once it’s not disgusting outside (for those of you unfamiliar with Binghamton… If you think your winters are long or your weather is dreary, allow me to laugh loudly and unapologetically in your face), I want to run outside more often. How will I accomplish these things? I think 3 & 4 are self-explanatory. For 1 & 2, I have a plan. I’m going to re-set my Couch to 5K app, and begin it anew. Except, for the times it says “Walk,” I’m going to run at 5.0. When it says “Run,” I’ll run at 6.0. This will, in my estimation, slowly build me up to comfortably running ten-minute-miles — just as the initial formula got me comfortable running twelve-minute-miles. Over time, the more comfortable I get, I’ll eventually tack on extra time — in theory, ten more minutes, so that I run four miles instead of three. Although a 30-minute 5K sounds like a plenty ambitious goal for now. 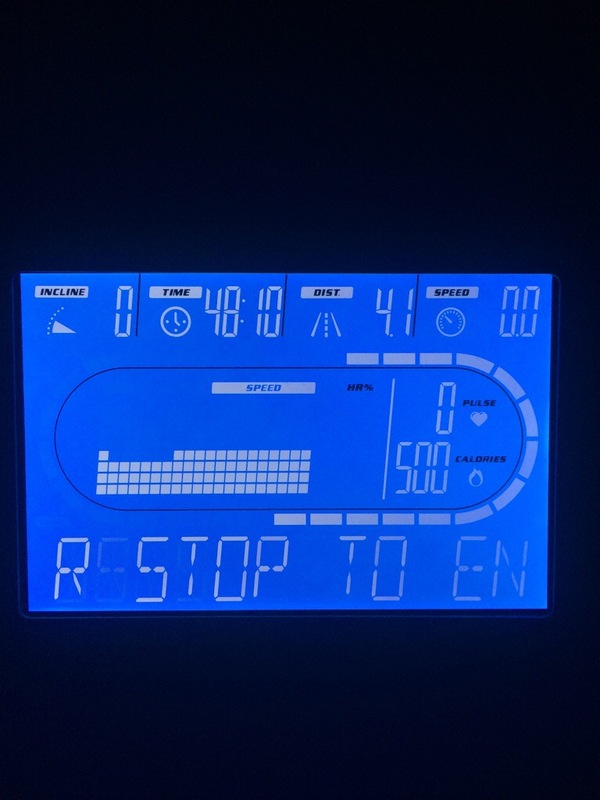 I do want to stay on the treadmill for about 45 minutes a day, so I’ll likely play around until I decide just how to do everything. But those are the goals, and their implementation starts today.